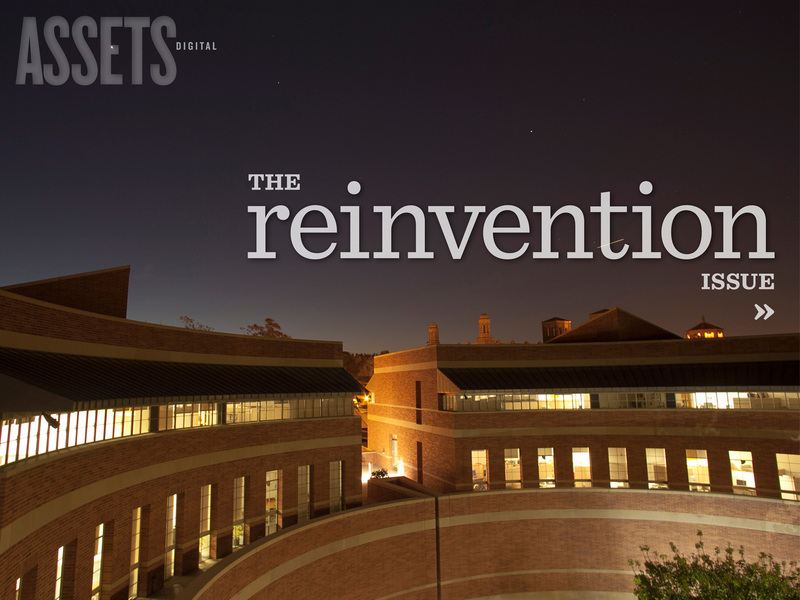 First issue of Assets, the iPad magazine for the UCLA Anderson school. The cover opens with a time lapse video of the sun rising over the school. Shot by Hugh Hamilton.